Another vessel from the upcoming Mindjammer RPG. This is a small agile craft used by the instrumentalities for urgent diplomatic missions. Much like the Mindjammer, it’s sentient also. I went for a retro rocket, sleek as hell vibe. This is a colour shot not in the book I did just to show it off. 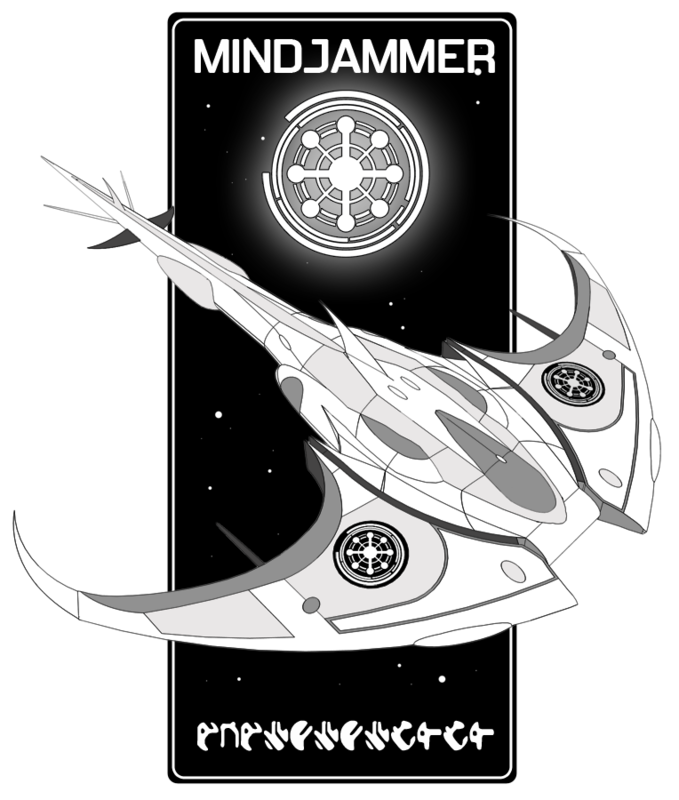 One of the vessels from the Mindjammer RPG. 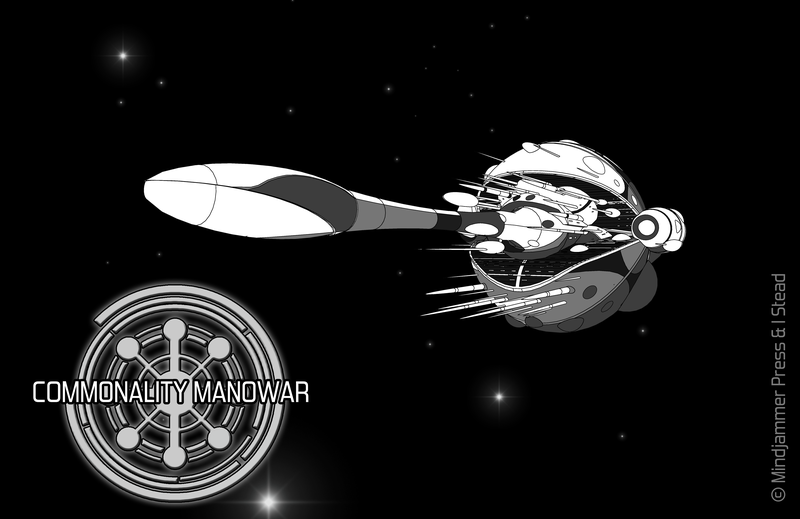 The Manowar is one of the Commonality of Humankind’s big capital warships. Sentient, alive and ancient. I kind of went for Cuttlefish/nautoloid like things, did a few doodles and after one thing and another here she is. Over the past few months I have been involved a super project which was producing the art for Sara Newton’s Mindjammer RPG Second edition. It’s been a fun ride and the final result (almost) looks amazing. Very proud of it and still keep reminding myself, that I help to do it, I find it hard to believe. I created the ship designs and deckplans, very proud of how the Mindjammer ship turned out. I also do the gear images and the various sheets that the game uses. Reads great too and I look forward to playing it. detailed character cultures, genotypes, and occupations — play a sentient starship! hyper-advanced equipment, weaponry, enhancements, starships, and more. 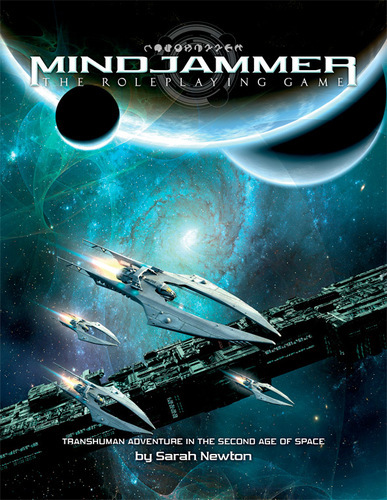 You can find out lots more about Mindjammer at the Mindjammer pages, and preorder it directly at the Mindjammer Press webstore on Modiphius.com. This is one of the shots of the Mindjammer we didn’t use. Really loving the black and white line stylee I have developed.